I am totally sold on the concept of the Ice Cream Sandwich. You can pick it up and lick the ice cream from the centre with the melting ice cream running down your fingers or eat it from a bowl breaking through the crisp cookie to reach the sweet, icy centre. Add some delicious Scottish strawberries and you have the perfect dessert. 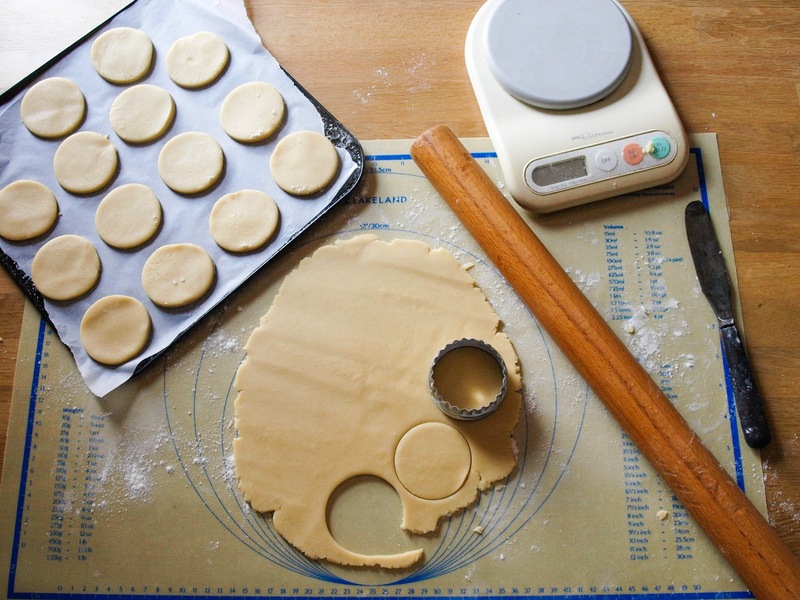 If you don't have time to make your own shortbread, you could buy some shortbread cookies and make this a really speedy treat, but there is not doubt that home made butter shortbread is much better and it's simple to make. 1. Sift the flour into a bowl and add the sugar. Work in the butter with your fingertips - keep it in one piece and gradually work in the dry ingredients. Knead well until the dough has come together. 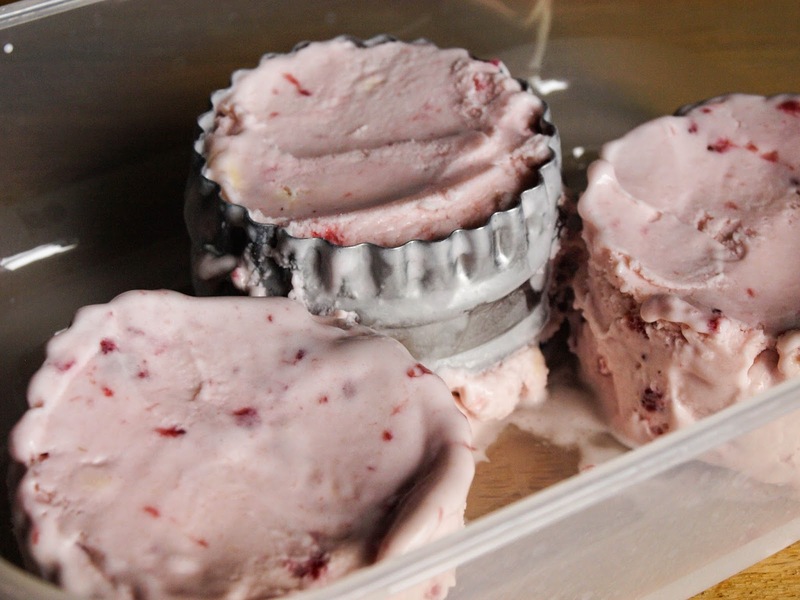 To make the ice cream sandwich: Using the ice cream of your choice, I used ready made Strawberry Shortcake Frozen Yogurt, let it soften slightly and press it into the cookie cutter that you used to cut the biscuits, remove the cookie cutter and refreeze the ice cream patties. Once I'd made these I realised that they were too deep for the sandwich so, once frozen, I cut them through the middle to make six. Then all you need to do is assemble the sandwich: take a biscuit, layer on some sliced strawberries, add the ice cream pattie, more sliced berries, top with another biscuit and decorate with a halved strawberry. I used Graham's butter from Graham’s the Family Dairy to make the shortbread. 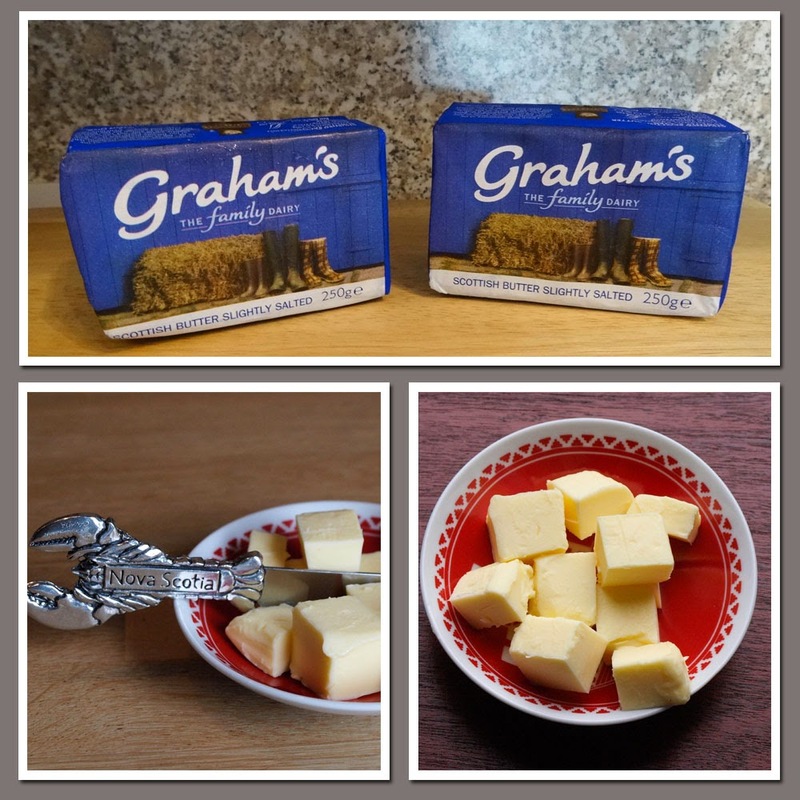 In a sign of the growing demand for local produce, Graham's have beaten Danish rivals Lurpak to become the best selling butter brand in Scotland. Made from milk supplied only by Scottish dairy farmers, Graham’s butter is then churned the traditional way north of the border. The new research confirms the consumer trend to increasingly choose Scottish produce. When it comes to block butter, Graham’s have overtaken Lurpak and now have 10.9% market share with their Danish rival trailing with just 9.8%. I found Graham's butter light, creamy and easy to work with when making shortbread, the shortbread was very good, with a nice snap to it then melting in your mouth, just as it should. I was supplied with butter by Graham's Family Dairy, I was not paid for this post and all opinions are my own. 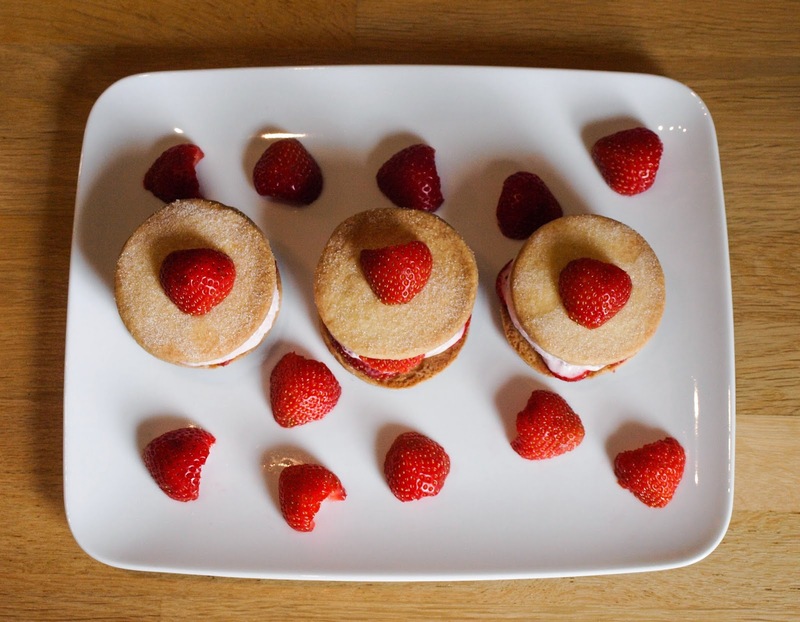 I'm sold too- these are perfect sweet treats for the baking hot weather we're having Janice! Thanks, they certainly are a treat. Thanks Kate, not so hot here now, but hoping it comes back! These look yummy and perfect for summer! Oh now you're talking Janice. Yum! 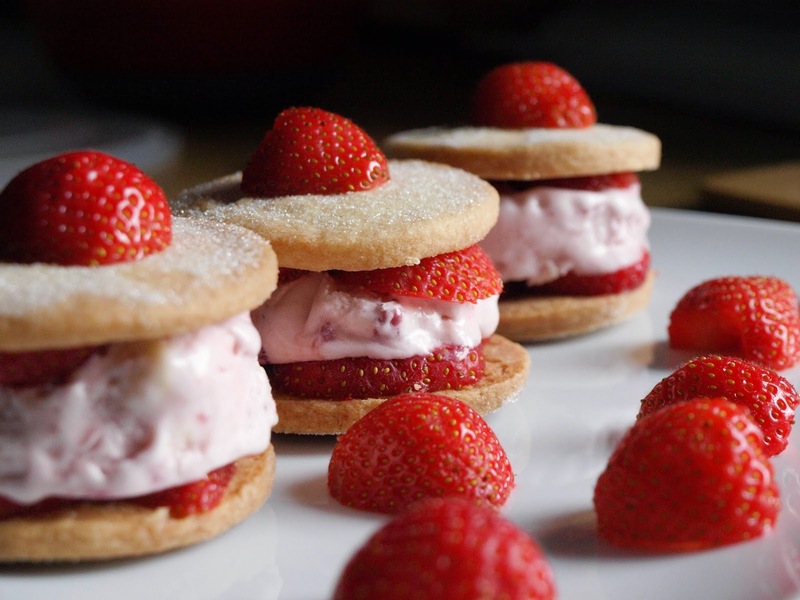 such a lovely idea... did you know when I posted random recipes this month I mentioned that the ice cream sandwich is my favourite kind of way to eat ice cream but i'd never thought of making one myself... love how you've deconstructed the strawberry shortcake!